Your dietitian nutritionist will help you stay on track during your weight loss journey daily through email or text. With weight loss coaching you can submit your nutrition and weight loss questions you have and send your food logs daily for your dietitian nutritionist to review. To get started contact us at info@washnutrition.com or 703-552-2722. Please note this fee is waved when following our Medical Weight Loss program. For best results with this service we recommend you do weekly virtual nutritionist appointments or in-office nutrition sessions the first month and every other week the second month to help you get started on the right track. These sessions are most likely covered by your insurance plan, but co-pays and co-insurance may apply. Christine Haas M.S., L.D.N., C.N.S. has been a licensed nutritionist in Maryland and Washington DC certified through the American College of Nutrition for over 15 years. She is one of the most sought after nutritionists in the Washington DC Area, having established herself as an expert in the field as the owner of Washington Nutrition Grouphttp://www.washingtonnutritiongroup.com a 13 year old medical nutrition therapy and weight loss clinic with 4 office locations , 3 registered dietitians and 6 mental health therapists in the Washington DC area. Christine is most recently the founder and creator of Stellar Labs™, a complete easy to digest nutrition product line featuring real food, easy to digest high protein nutrition bars, and shakes. Christine is a member of the American Dietetic association and holds a number of fitness and nutrition certifications, including The Certificate of Training in Adult Weight Management from the American Dietetic Association. Christine has also received a Masters of Science Degree in Health and Fitness Management from The American University in Washington D.C. and a Masters Degree in Nutrition Education from The University of Vermont. Christine Has also worked as the nutritionist and a personal trainer at The Sports Club L.A. in Washington D.C., as an adjunct professor of nutrition at Montgomery College and as a nutritionist for Medifast at corporateheadquarters in Owings Mills, MD. 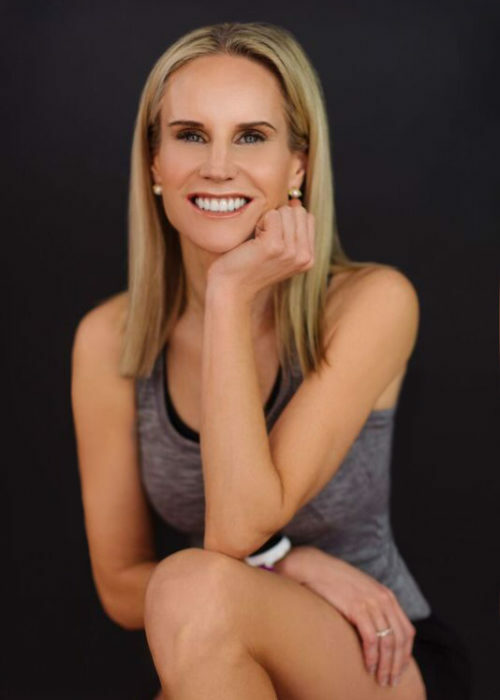 Christine still continues to be a Medifast health coach with the Optivia™ product line and is a nutrition and fitness correspondent for Northern Virginia Magazine. Christine is most recently the founder and creator of Stellar Labs™, a complete on-line weight management system featuring real food nutrition bars, and shakes, products and books for patients with all medical conditions and lifestyles launching on March 2017. She is also the founder and creator of All Healthy Portions, a real food weight management system for patients of Washington Nutrition Group. Due to the success of this program, Christine is now helping dietitians, physicians, and other medical professionals implement this system into their practices. Copyright © 2019 Christine Hanson Haas, MS, LDN, CNS. All rights reserved.